The TARTHERZEAL running shoes, is engineered for speed, and designed to go fast. 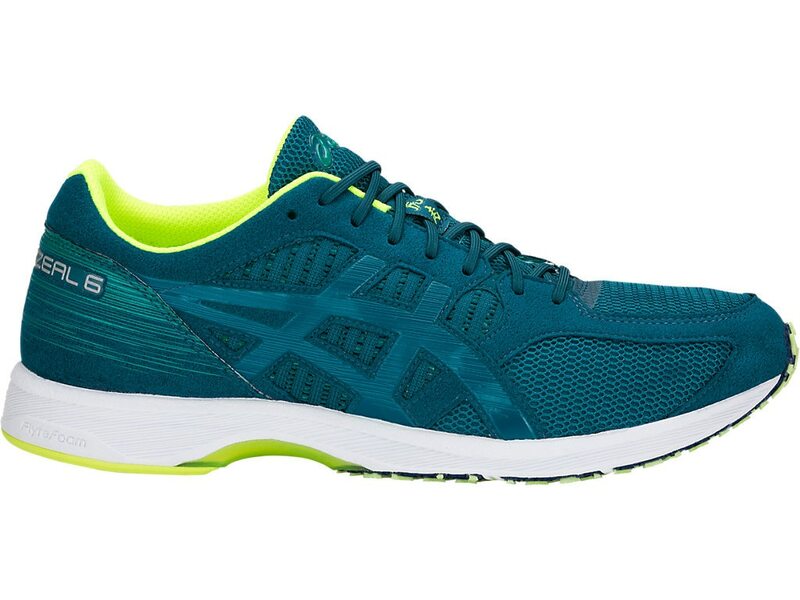 with the addition of FlyteFoam in the midsole and a DUOSOLE Outsole, provides an excellent and harmonious combination of bounce-back properties, cushioning and durability. The adapt mesh upper construction provides superior fit and feel that every fast runner will envy. provides enhanced durability and traction. new blown -AHAR OUTSOLE: acronym for ASICS high abrasion rubber. placed in critical areas of the outsole for exceptional durability. material. delivers enhanced cushioning, durability and ride to the foot.